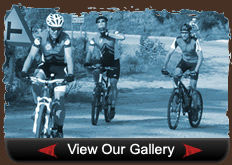 On 7 October 58 cyclists and their support team arrived in Prince Albert as part of the 10th KKK Cycle Mountain Bike Tour. This annual tour, organized by Arno Botha, follows a circular route of 550km from Wilderness to Wilderness, passing through Knysna, Uniondale, De Rust, Prince Albert and Oudtshoorn. Upon their arrival the group was treated to a delicious lunch of burger and chips at La-di-dah Farm Stall in Church Street. Yvette Breedt and her team welcomed everyone to their lovely restaurant and invited them to relax and enjoy the tranquil pond-side setting. That evening, the Swartberg Hotel hosted an outdoor dinner at their pool terrace. They could not have wished for a more beautiful spring evening. A scrumptious braai, lively conversation and soft candle-light made for an evening enjoyed by all. The next day was a rest day for the cyclists and they wandered through town, some exploring Prince Albert for the first time. The tour provided business for 18 guesthouses and the Swartberg Hotel and many cyclists vowed to return with their families for another visit to this lovely town. Their last evening in Prince Albert was spent at Bergwater Cellars where Wildekanis Pre-Primary School hosted a dinner organised by Ilze Steyn and her friendly team. The cellar was transformed into a picture of elegance with beautifully laid tables, vases of roses at table adornment, and burning lanterns all around. Stephan and Chantal Schoeman of Bergwater Cellars offered wine tasting and won over many new customers. Prince Albert local, Brian Finch, provided the entertainment and soon had everyone in awe of his superior guitar skills. He sang some of his new compositions and of course, some golden oldies. Wildekanis provided olive hampers and a magnum of Bergwater wine signed by winemaker, Mariska Vorster, to be auctioned amongst the cyclists. Cyclist, Graham Terlouw, played auctioneer and in excess of R5 000.00 was raised for the school, with the magnum bottle of Bergwater fetching R4 000.00 from Hermanus resident, André du Plessis. 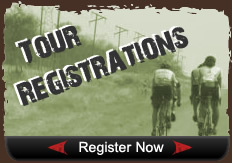 For more information about the KKK Cycle MTB Tour please contact Arno Botha on arno@arnobotha.co.za or 083 395 9038.